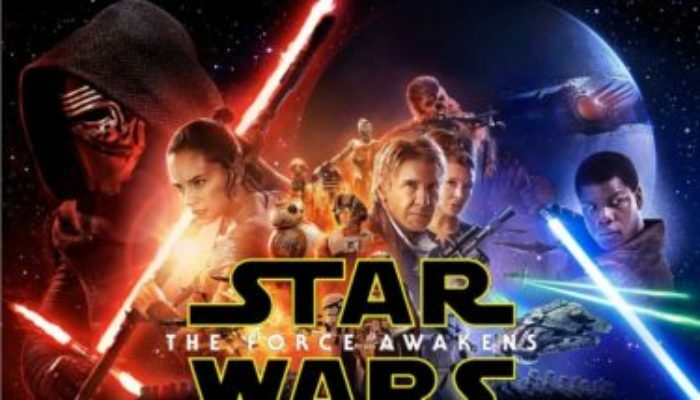 WHAT'S STAR WARS: THE FORCE AWAKENS ABOUT? A rogue storm trooper teams up with a scavenger and others to fight the evil First Order. Director JJ Abrams (Star Trek) and screenwriter Lawrence Kasdan (The Empire Strikes Back, Raiders of the Lost Ark) have crafted a Star Wars film that should appease just about everyone, including original trilogy purists, prequel-loving young-bloods, and casual moviegoers looking for a good time. This is the funniest, most moving entry since Empire, with terrific cast chemistry (led by Ford at his best, though returning players and newbies are rock-solid). It borrows too heavily from previous entries, one CGI character isn't visually up to par, and there's a few too many plot coincidences, but these are minor qualms compared to all the things the film gets right. The future is bright for the franchise. Star Wars Episode VII: The Force Awakens is rated PG-13. In terms of tone, violence, and intensity it is somewhere between The Empire Strikes Back and Revenge of the Sith. Stormtroopers shoot unarmed civilians and burn homes. People are killed by light-saber and by lazer blast; others are injured by the same. A villain uses the Force to interrogate prisoners. There is mild blood and 2-3 mild profanities (“h*ll” and “d*mn). Love can help you to overcome fear. Don't miss out on present opportunities by dwelling on the future. If you tell the truth you'll never be caught in a lie. There is nothing wrong with deferring to the expertise of a woman.